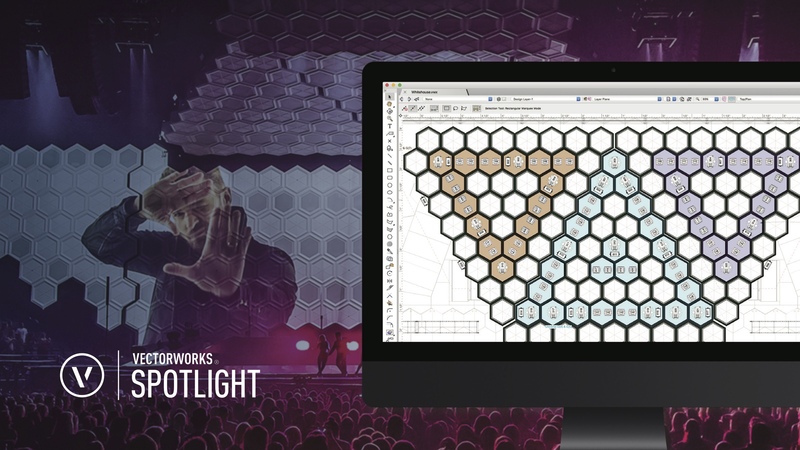 Welcome to Entertainment in Vectorworks. This guide will take you through the creation of an event plan, starting with the initial import of a base plan of the venue, to the presentation of your final project. Through the creation of a presentation stage and seating layout, as well as an exhibit booth and area, you will be introduced to the many design tools available with Spotlight. In addition, we will explore preparing a project for export to Vision as well as review the capabilities of the various Cable tools available in Vectorworks. To get started, click on the first chapter in the left column; Venue: Create the Venue.